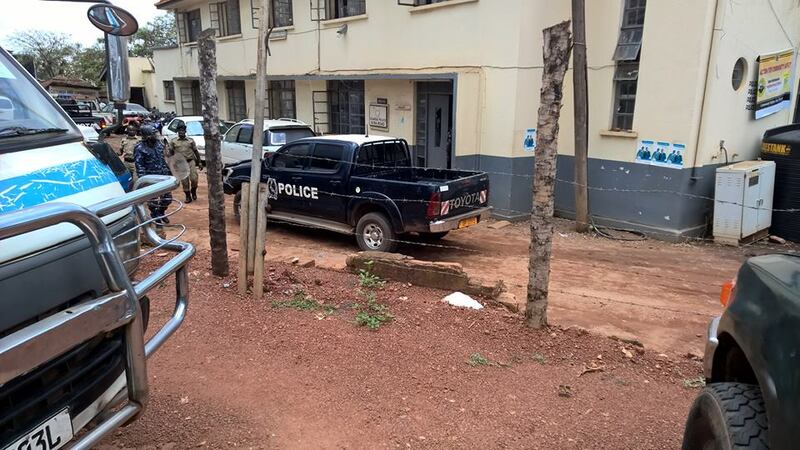 The Police and Army around Kasangati block the Easter Prayer ceremony at the Besigye residence; detain those taking photos of it; teargassing a two-year old child; and blocking the pilgrims from Rukungiri that was supposed to attend the Prayer! As the relatives of Dr. Kizza Besigye had planned an Easter Prayer and also collected this together with pilgrims from Rukungiri to attend the ceremony. This would be held with three Anglican Reverends, Rt. Reverend Bamushangire, Rt. Reverend P Kanyonyi and Reverend Kahangirwe and Rukungiri Mayor Makuru. So there would be special gathering in the holy spirit of the Easter. But the Police Force would not give in or the Army let the man who supposed not to be in a House-Arrest, also the troubles for everybody else who was invited to the event, the Police and Army proves yet again the words of IGP Kale Kayihura is worthless. Take a brief look at the report and pictures and you can see for yourself the attitude and actions from government security organizations with a display of arrogance and disbelief that they did not only block a prayer, but tear-gassed a two year old child! “Police have blocked a team from All Saints Church, Rukungiri from proceeding to Dr Kizza Besigye’s Kasangati home to pray with him. The team was intercepted from Lutete, Gayaza Road” (NBS TV Uganda, 28.03.2016). A team from Rukungiri led by Rukungiri Municipality Mayor Makuru is still held by police at Luteete a few Kilometers to Kasangati town. They include three Reverends who had come to share the Easter mass with Dr. Kizza Besigye who was denied an opportunity to go to church yesterday. They were first held in Ntungamo at 4:00am in the morning. Later when they got closer to the home of Besigye they got close and got blocked at Rutete along Gayaza road and teargased. The group of was around 75 people and none of them was allowed to enter the home and initially blocking the prayer. 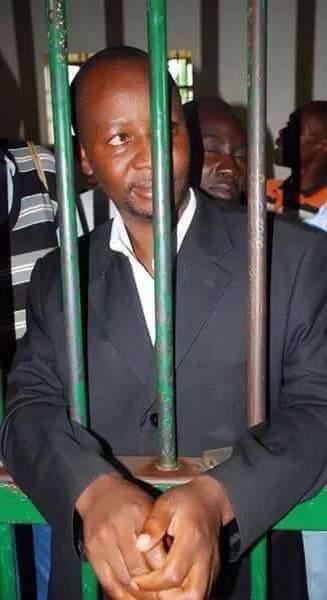 Also at Kasangati there were two people who were arrested for taking photos by the UPDF. This is yet another evidence of the muffling the army and police is doing to society. 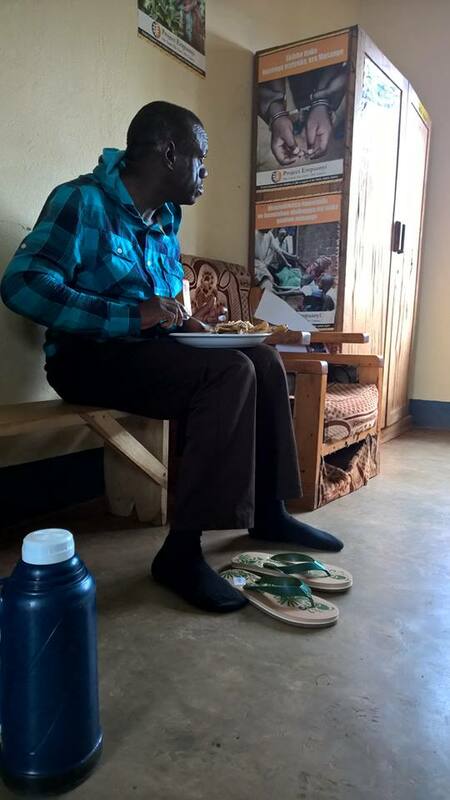 At the house the FDC Mobilisers Ingrid Turinawe was to visit Kizza Besigye together with her family. 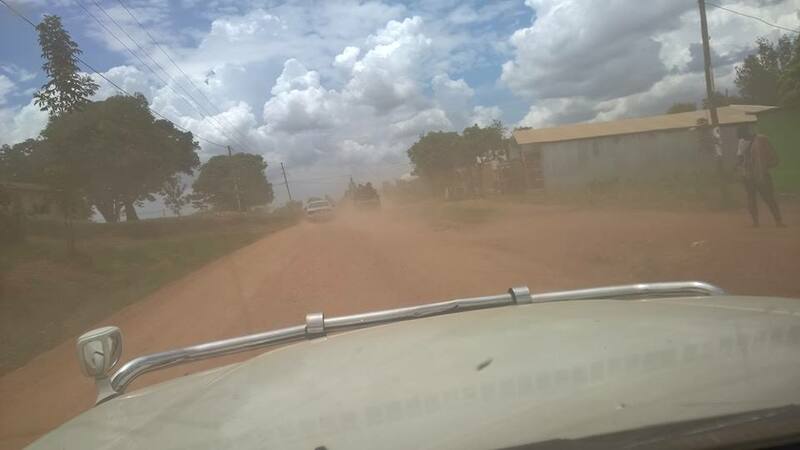 The Police showed their disregard to the fellow FDC Official and even tear-gassed her kids, even after the car was cleared through the roadblocks. “Easter prayers organized by relatives of Kizza Besigye who ordinarily expected him to join them in the village. However due to his illegal detention and curtailment of his freedom of movement they decided to move the whole parish to Kasangati to hold their ordinary prayers with their son. It was a fully organized function with tents and catering services to cater for the large numbers of pilgrims. The events organized were to include Holy Communion service and baptism of the children. However now the police has not only stopped the event,they have used excessive force on Christian’s and teargassed the clergy and the children. Right now children are in a very bad condition with no medical supplies to treat their wounds in Kasangati because police has blocked even medics from accessing KB’s house” (Moses Atocon Atekwo, 28.03.2016). 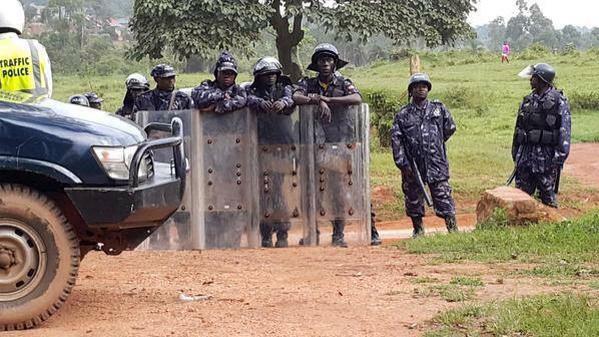 As of yesterday the Police last night blocked the Fourth Estate and confiscating their cameras and stopping them for having the TV show at the house of Besigye, today on Easter Day the Police stopped Dr. Kizza Besigye from having an Easter Prayer. Even the people supposed to attending and travelling together the three reverends and the Rukungiri mayor Makuru. At this point the lies and deception should show the disregard for the decency and promptness as they even tear-gassed a two-year old child on this Easter Day. That is the proof of the violence and sincere aggression from the state, even tear-gassing children, reverends and pilgrims going for a prayer. That proves how much the state is controlling everything and not caring about its citizens, except the ones of the elite and NRM-Regime who continues to live like nothing is happening in Kasangati. Peace. 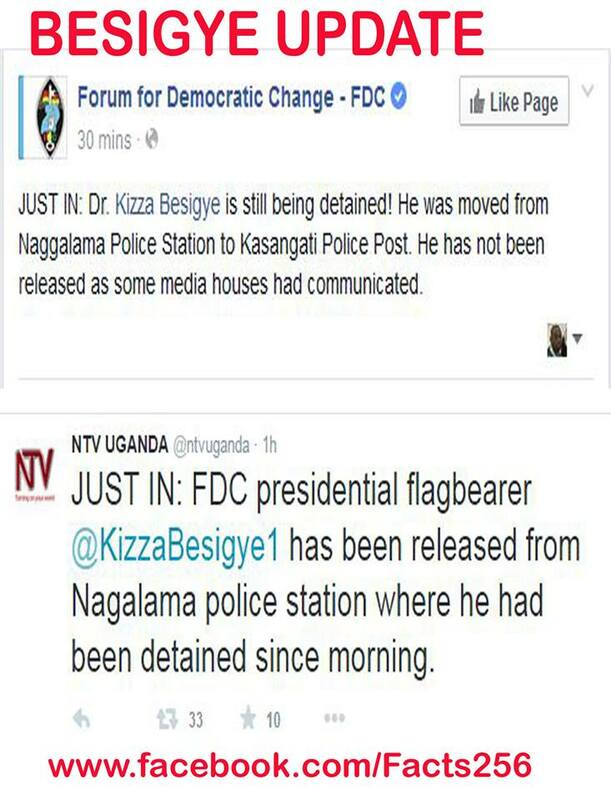 Only in Uganda: Journalist arrested on Live-TV while filming outside of Dr. Kizza Besigye’s home.